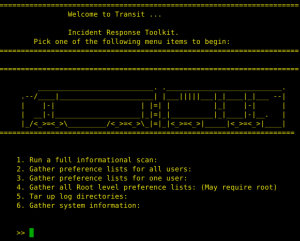 Browse: Home / Transit : a Mac-OS incident Response Toolkit. 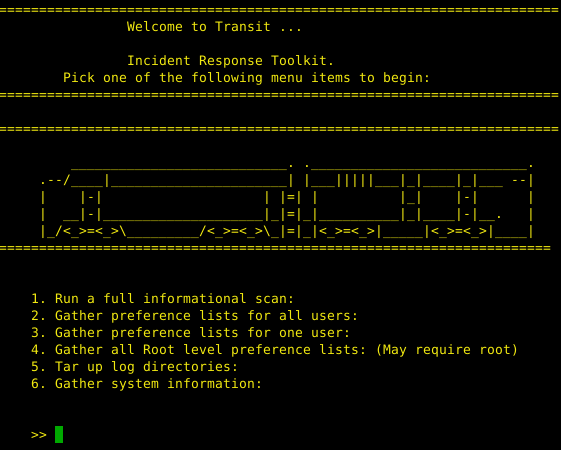 Transit is a MacOS Incident Response toolkit. Transit can pull the following information from a system. 1. Well return a series of information about the system itself. + hashlib, biplist and plistlib python2 Library. 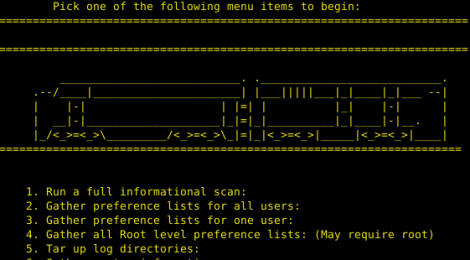 ← unfurl is An Entropy Based Link Vulnerability Analysis Tool.